It is almost impossible to express the feeling one gets after the final applause of New Dance Horizons has died out. The opportunity to see so many of the local artists, that we have gotten to know, grow beyond our wildest expectations and deliver performances that would be received with ovations anywhere in the world is a privilege. The idea to push the limit while inviting the local companies to join us and move forward is taking root and for it we are all better off. An evening of diverse choreography, of diverse styles, and of diverse sophistications made for 2 hours of dancing bliss. And those who missed it, shame on them. Roni Koresh pushed buttons, in more ways than one, working with MADCO. 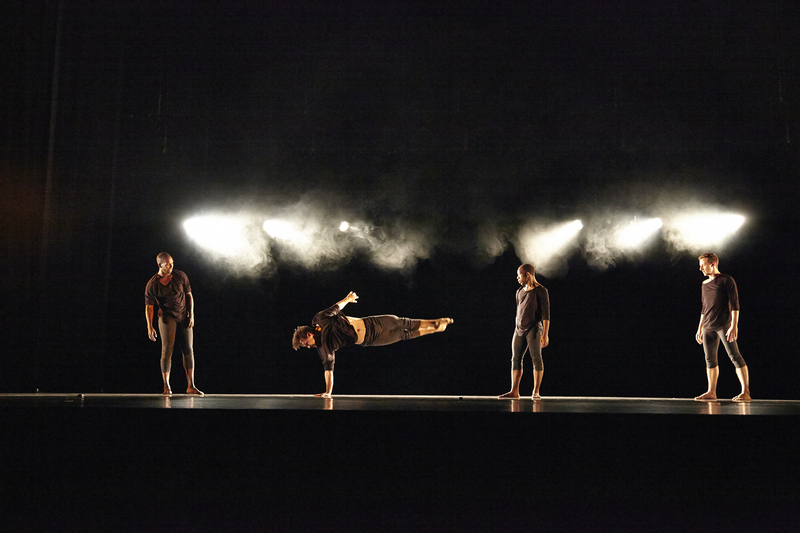 Points of Contact was a work of incredible energy, challenging the norm for MADCO and making them rise to the top as they discovered a different commitment to creation. It was a powerful opening that had people wondering how it would be topped. The Big Muddy Dance Company was paired with Kate Skarpetowska to bring to life a work that I felt completely taken by. Inspired by the book “Awakening,” A Mariner brought to life, in a most sophisticate and poignant way, the experience of those mired in a state of mental limbo, brought to life for a few moments by a drug. It explored the pathos of feeling what it would be like to have experienced the moment and then be asked to revert back to a state of inertia. It was truly poignant and great compliment to Kate’s work. Saint Louis Ballet brought to life Brian Enos’ work Bloom. This work surprised us all as it created magical moments that challenged not only the dancers but the audience as well. It took us on a journey that we were not sure where it would lead, but that once we arrived we could not help but scream for joy. I wish to thank our three choreographers, all of the dancers and the three companies for “making my day” and that of 1000’s of viewers. *photos from New Dance Horizons III dress rehearsal taken by Steve Truesdell. After having spent a summer vacation for the ages, as I think I said before, the excitement of New Dance Horizons III rapidly took over my office, our staff, and our spirits. 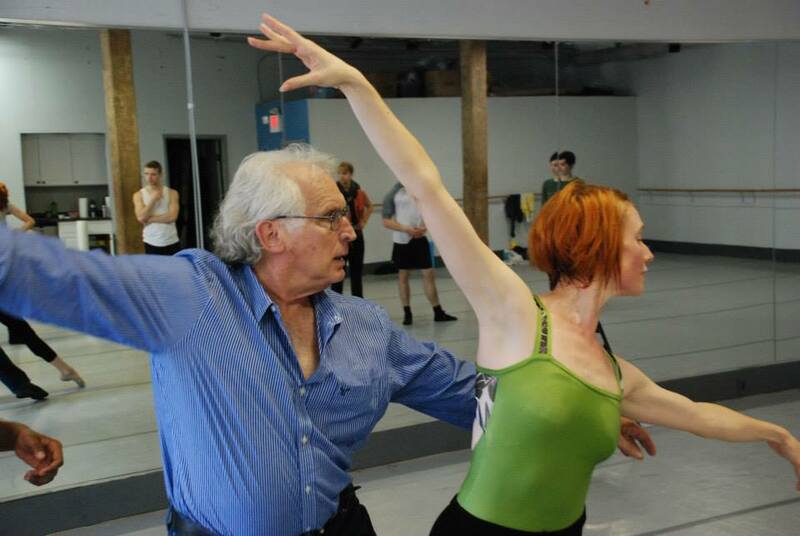 With choreographers like Brian Enos, Kate Skarpetowska and Roni Koresh walking the streets of St. Louis and creating on the gifted performers of Saint Louis Ballet, The Big Muddy Dance Company and MADCO, Dance St. Louis’ purpose seems to be fulfilled at a higher level. Nothing is more pleasing than to see the agonizing faces of dancers trying mightily to master new choreography, feeling perhaps their inability to it justice (It is a trait of dancers, we always feel that we are ill-equipped) and then magic happens. A smile crosses their faces, the sweat is accomplishment, the aches and pains become a welcomed reminder of an exquisite process and, before you know, the un-known is about to be unveiled. All three companies will meet at the Touhill to make sure the lighting is right, the costumes are right, their timing is correct, and their performances are up to the standards of the choreographers. You, the audience, will begin to take your seats and the reason for being there will happen as the curtain rises to the magic that is dance and to the beautiful unknown that is the creation of new works. I am truly excited and I hope you are too, do join us. Last weekend I saw the The Big Muddy Dance Company performing to an excited audience of about 500 at Casa Loma Ballroom, a most interesting venue not usually associated with live dance performances but one that should definitely be looked at seriously for unusual performances and attractions. Needless to say it would need major improvements as the problems that upset Paula David, Artistic Director of The Big Muddy were obvious but did not interfere with the power of the dancing and the artistry of the performers. The evening was full of great energy with pieces that appealed to all. Perhaps, because of who I am and where I come from, it was the most introspective numbers that appeal to me the most. Kameron Saunders’ quartet for 4 men had all the right qualities and ingredients and the premiere of Thom Dancy, a new member of the company, introduced us to someone to watch. His work was marvelous because it dared to be quiet, a good change of pace from the energetic approach of all the other works. It is marvelous to welcome The Big Muddy Dance Company to our St. Louis arena. What Paula David has done in three short years needs to be praised and applauded. Her ability to surround herself with dancers that engage the audience at all levels is special and to have them back their dancing abilities with personality is a special joy. I look forward to their other presentations and am thrilled that for their January performance they have chosen to stage a work of mine, “A Media Luz” to music of Astor Piazzolla. Rehearsals are already at such a high level that I can’t wait to see the final result. Before I arrived in St. Louis to become the Artistic & Executive Director of Dance St. Louis, I was very much involved in the creation of new works. Over 45 years have passed since I created my first work for The Joffrey Ballet and I must have done over 100 small works, created some 6 to 8 full length ballets and choreographed and/or directed countless operas. So, when taking over Dance St. Louis, I knew I would have to curtail that aspect of my career. Fortunately, those creative juices have been allowed to flow thanks to the kindness of Saint Louis Ballet, who has asked me in the past to re-stage two of my duets, and MADCO, who performed my Bach Cantata. Recently, The Big Muddy Dance Company and Paula David came to me and requested that I stage on them “A Media Luz,” a work that I created in 2002 (I think) for the New World Dance Ensemble. The work became a huge hit and was their second calling card along with a work by Robert Battle, director of Alvin Ailey American Dance Theater. I was thrilled to have an opportunity to revisit the work! Tina Santos, my assistant at New World, came to St. Louis to help re-stage it and what an amazing week that was. By the end the dancers were exhausted and already relished in the work. 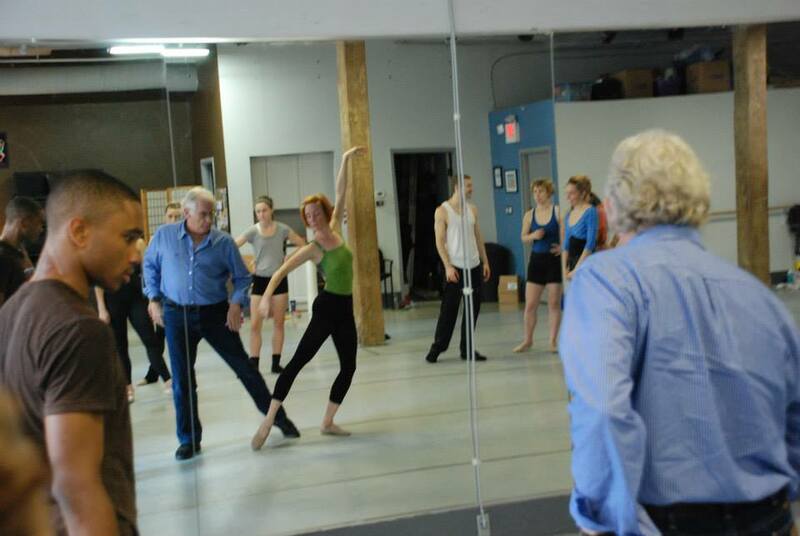 When I returned from touring with New Dance Horizons II, I was able to work with them for a couple of hours. Their energy and performance quality was already at a high peak, just a few touches here and there and the work begun taking incredible shape. I could not hide my satisfaction with their commitment and dedication to the work. Unfortunately, we have to wait until January 18th to see it on stage. But, that will give me the opportunity to be surrounded by the dancers a few more times and feel the connection to the art form we, Dance St. Louis, tries to promote. If you can, join The Big Muddy Dance Company for their performance in January. It should be fun and so far I am really proud of how they dance this piece and how well the work itself works.